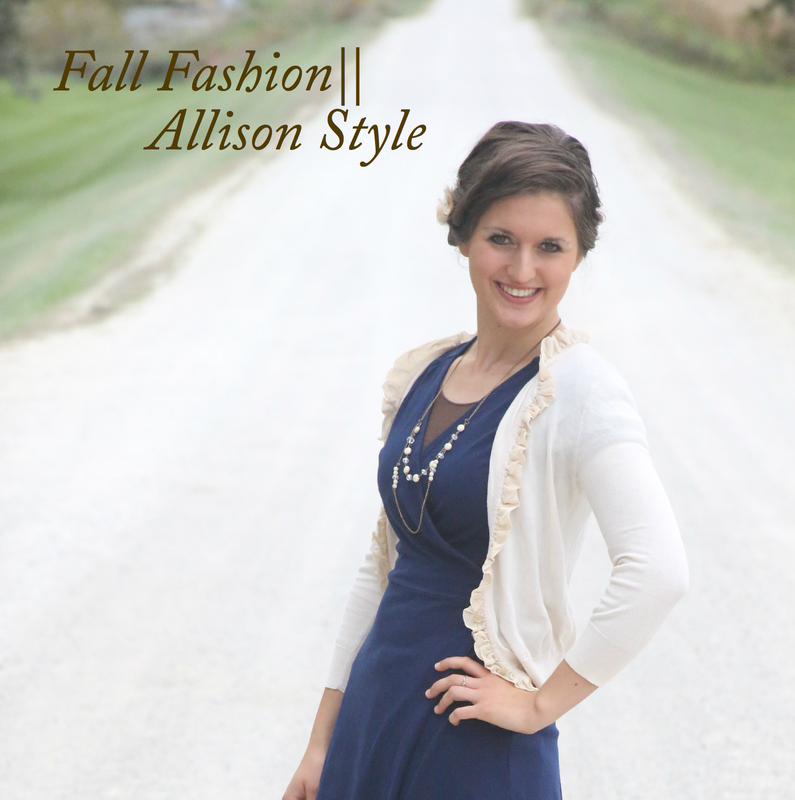 A little while back, one of you sweet readers asked for tips on putting together classy outfits for fall/winter. Contrary to what you might think, the cold season is my absolute favorite time of year for fashion. In the summer, one has to worry about how to take off as much as possible to stay comfortable and cool while obviously (obviously!) wanting to maintain a standard of modesty whilst trying to stay cool and fashionable. It can be a challenge. But winter? No worries! Cause baby its cold outside, and we wanna wear as many cozy layers as possible! The question is how to do this without looking like a snowman? Is it even possible to be warm and look halfways trim? I don't know about the rest of you girls, but I want to keep my waistline definable even if its cold. Absolutely. But...I don't want to live the whole winter in sweats and hoodies! Because we're going for beauty + fashion here, and while the afore mentioned combination may be toasty + comfy + appropriate for some times, its definitely not what I'm wanting as my normal fashion statement. Today I'm going to share with you a few tips on layering, whilst keeping a slim and professionally fitted look, whilst looking classy and dressy, and whilst staying warm in those cozy layers! My sista Alli was leaving one day last November for errands, and I thought her outfit was a perfect example of this whole layering concept, so I grabbed her for a few shots, and here they are. In the fall/winter, my sister and I LOVE pairing skinnies with our dresses. This has to be done right or it can look frumpy; jeans don't work with just any dress. But if you can make the combination look right, it can be SO COZY, because you have double layers of material. And I don't know about y'all but I adore leg warmers! They add so much class and fun! Sometime I might do a post just solely dedicated to the wonderfulness of DownEast Basics but for now let me just say that if you haven't been introduced to this company, here is the introduction and their wonder tees may very well change your life forever. I hate buying things new and hardly ever do (I almost always shop used) but I make an exception when it comes to the wonder tee because I haven't found other tees like them anywhere. They are very fitted which makes them AMAZING for layering, or you can buy a size larger and wear them on their own. I love them because they have more coverage than an average cami with the cap sleeves, which makes them perfect to wear underneath lace and/or sheer tops. They are more expensive than what I would normally want to pay for just a tee shirt but I have found that as often as I wear mine, it is WORTH IT. I have the wonder tee in cream, black, and rust currently. My sister and I try to wait until they either have a sale or "free shipping over $50" or something like that and then buy a bunch together to make it more worth it and try to get the best deal possible. I really just can't rave about them enough. Accessories. They can make an outfit go from 50 to 100 in no time flat. These leg warmers are a perfect example. The lace peeking out of the boots ties in with the vintage and ruffled look of her cardigan and hair flower. Plus it breaks up the dark look of jeans against boots, and brings a hint of the cream back into the outfit nearer the bottom. What are some of y'alls tips for classy layering and staying warm during these chilly fall/winter days? Leave a comment and share! I'd love to hear your ideas! Other than the fact that they can get expensive why don't you like to be things new? I love these tips. It doesn't get cold too often here in southern california but there are days when it does get cold and i want to dress accordingly but not feel like I'm dressed like an eskimo and cant move around easily. I love wearing layers to keep warm but also modest. Honestly the main reason is the cost. =) I like to have a big wardrobe myself personally and can do it for so much less when I shop used versus new. I love what Allison does with her hair. Can you possibly convince her to do a guest post in the near future on a hair tutorial and maybe even how she takes care of ber hair since it's so long? Or even how all you girls take care of your hair. I am growing out my hair and would love some suggestions. I love this!! So well done. Love your fashion posts (I love all of your posts but these are just so handy!). Your's and Alli's style is so lovely! Wow that's a cute outfit. Every time I see a picture of her the word "classy" instantly comes to my mind. I love the pictures. Love the outfit and her style. Love the outfit - and great layering tips, although there's not a whole lot of use for them down here in Miami :) Super cute combinations! I love the cardigan! What brand is it??? I totally need one just like that! Thanks for sharing! Oh yes, absolutely-we do leggings ALOT too! Esp fleece lined ones for the winter-so cozy. Josh is going to Verity Institute in Indianapolis. Love the simplicity of it...super cute! I like the outfit, but leggings could work instead of jeans, right? I was wondering, could you please wrote a post about where Josh is going to college and for what? I would like to know what you all think about going to college, or staying home and doing college, or going off, etc. could you please write one like that? I know-we've had the same problem! So awkward! So here's how we solve it! 3) wear extender slips. again, this only works sometimes, as it CAN appear that you have 5 million layers on if you're not careful! =) Allison just did an outfit like this the other day (leggings, extender slip, skirt, and boots. oh, and top of course =)) and it looked amazing. Yes, her boots are amazing! Someone actually gifted her with the money to buy them so she was able to buy a pretty expensive but very good quality pair. She wears them all the time. That clothing swap sounds like so much fun. I have thought of doing one before too...my cousins did one and it just sounded like a riot-I think it would be a blast! We get them all over, honestly! We are always keeping our eyes open at thrift stores. =) But if we can't find them there, we get them at Forever 21, Rue 21, or Old Navy. Hope that helps! And we get our jeggings and skinny jeans (like the ones Alli is wearing in these pictures) at consignment stores like Platos Closet or our state chain, Stuff Etc. Yep, that helps :) Thanks!